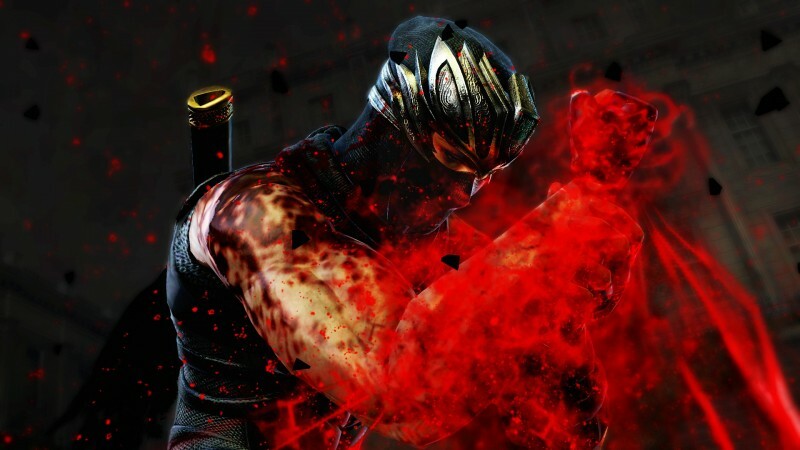 Fans of Ryu Hayabusa’s last two adventures can’t be blamed if they approach Ninja Gaiden 3 with a certain amount of skepticism. It’s the first of the modern entries in the series that Tomonobu Itagaki hasn’t been involved with. 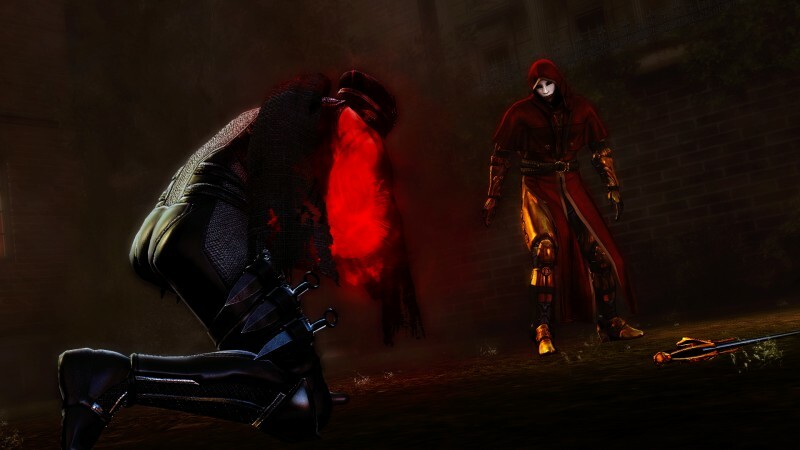 Moving away from the series’ trademark difficulty, it promises to be more friendly to newcomers. It nixes decapitations and severed limbs in favor of general blade wounds. 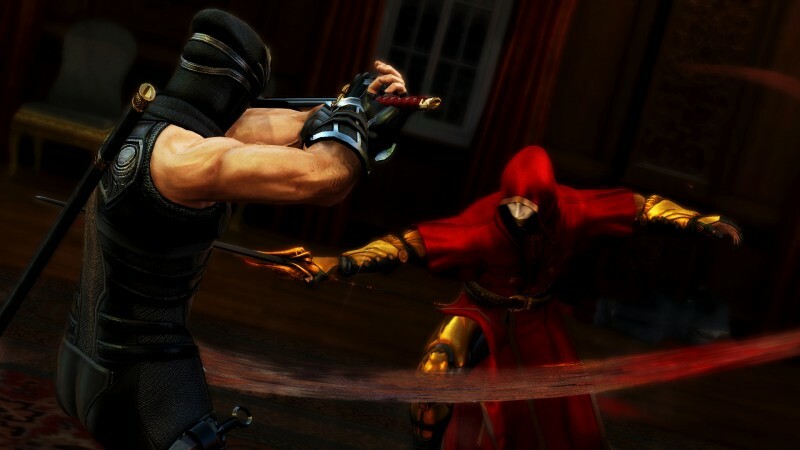 Many of the decisions made during Ninja Gaiden 3’s development have raised the eyebrows of fans, and the end product is a mixed bag as a result. 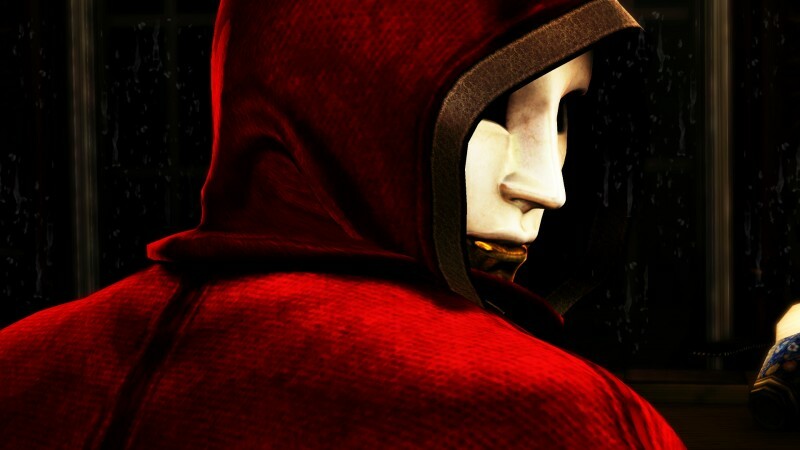 The first two 3D games in the series required razor-sharp reflexes, a healthy knowledge of useful combos, and the patience to endure countless deaths. 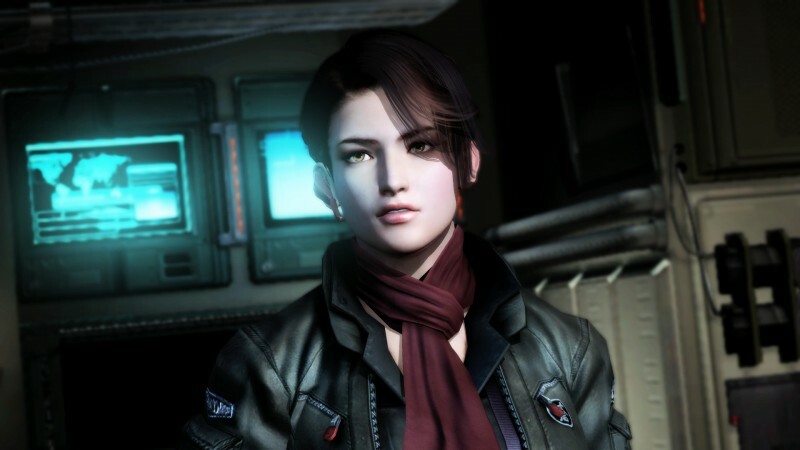 Casual action fans understandably had issues completing these games, and Team Ninja has made good on its promise to make this sequel more newcomer-friendly. Hero mode is a new setting that turns Ryu into an invincible dynamo once his health meter gets low. As I type this, I’m watching the ninja auto-evade grenades and blocking bullets with his sword while my controller sits untouched on my desk. This has been going on for a good 30 minutes, and there is no indication that Ryu can or will ever die. While hero mode is optional, general dumbed-down difficulty isn’t confined to that setting. I played through the entire story mode on the default difficulty level, which was nothing short of punishing in the past. Back then, you’d get killed by new enemies a few times over before you started recognizing their patterns. In Ninja Gaiden 3, you’re usually safe as long as you keep mashing the attack buttons and utilizing your screen-clearing dragon ninpo. It may be the easiest experience of the series, but that didn’t keep me from dying a few times. As the game progresses, enemies do require a bit more strategy (while remaining simpler than the standard enemies from the past). Despite this, you’re unlikely to die much as long as you utilize the helpful new slide technique when foes telegraph attacks. Boss fights may not be on the level of the previous panic-inducing battles, but they’re still absurd enough to be entertaining. One encounter with the world’s dumbest T-Rex stands out as especially memorable. Combat isn’t the only thing that’s streamlined. Previous games featured a large assortment of collectibles, secrets, and upgradeable weapons. Ninja Gaiden 3 features one non-upgradeable sword (although two free DLC weapons are available), no currency system, and no collectibles. That satisfying feeling of leveling up your sword after saving up several levels’ worth of orbs is gone, and it’s a definite detriment to the experience. 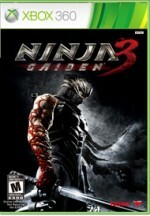 Prior to release, Team Ninja was fond of mentioning Ninja Gaiden 3’s new focus on story. Don’t let this fool you into thinking it’s any less convoluted or asinine than previous games in the series, however. What’s pitched as a dive into the character and ethics of the murderous ninja is filled with the same cardboard characters, nonsensical backstabbings, and atrocious dialogue. 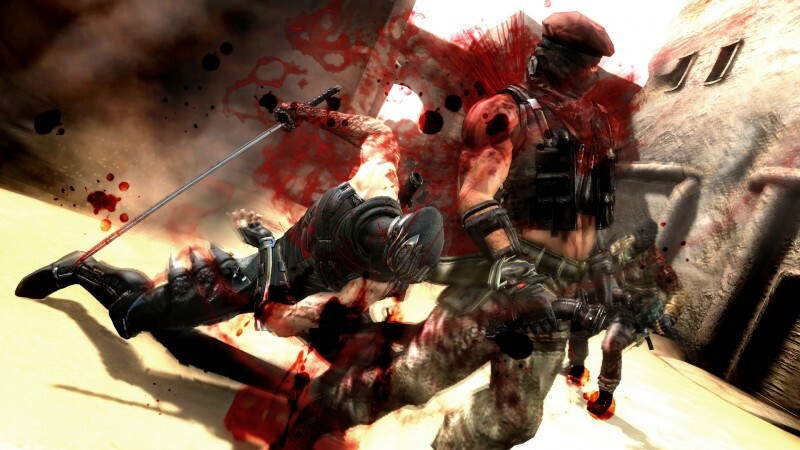 In a somewhat surprising move, Ninja Gaiden 3 also includes a multiplayer component. You won’t be playing cooperatively during the campaign, but an assortment of trial missions can be completed either solo or with a friend. These bare-boned trials feel more like challenge rooms than actual missions, but they might extend your play time if you’re looking for more after the story. 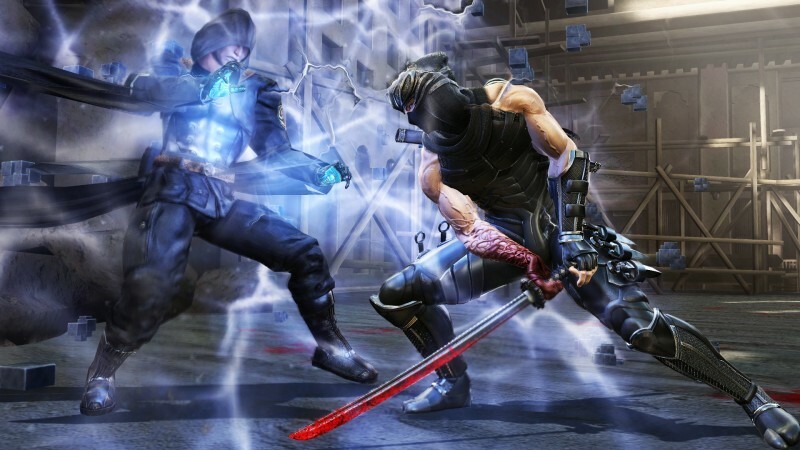 Clan battles are Team Ninja’s attempt at competitive multiplayer. In these, two teams of four ninjas face off across three maps. Basic unlocks will become available as you rank up, granting you new moves, costume pieces, and more space in your shuriken/arrow inventory. It’s nowhere near the level of customization that a multiplayer experience like Call of Duty offers, but it may keep fans gunning for that next unlock. Unfortunately, the actual multiplayer gameplay leaves much to be desired. Shurikens and bows feel like they barely do any damage, and it’s difficult to hit fast-moving opponents with the aiming controls for the ninpo attack. This means that most battles boil down to basic “run at the other guy, then mash buttons to hopefully kill him first” gameplay. 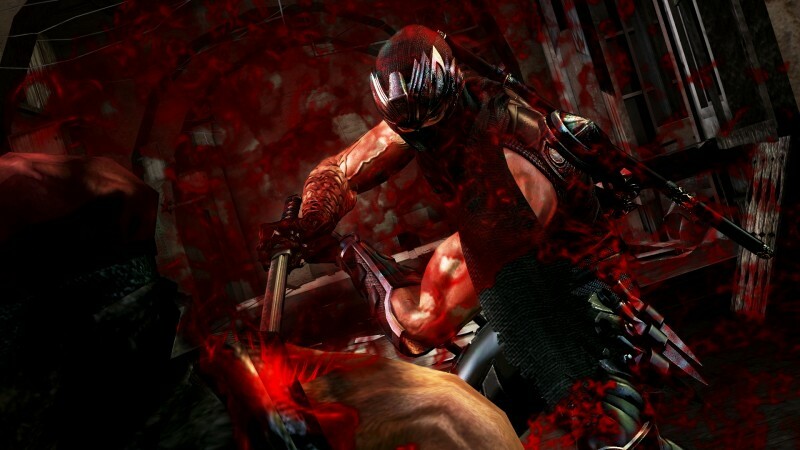 Ninja Gaiden 3 is not a complete train wreck, but it does suffer from a multitude of problems. The action can be fast-paced and engaging at times, but many design decisions significantly bring down the experience. Dumbed-down A.I., a limited arsenal, the series’ notoriously difficult camera, no inventory/currency system, and an incoherent story combine to make this the most disappointing title in the series. 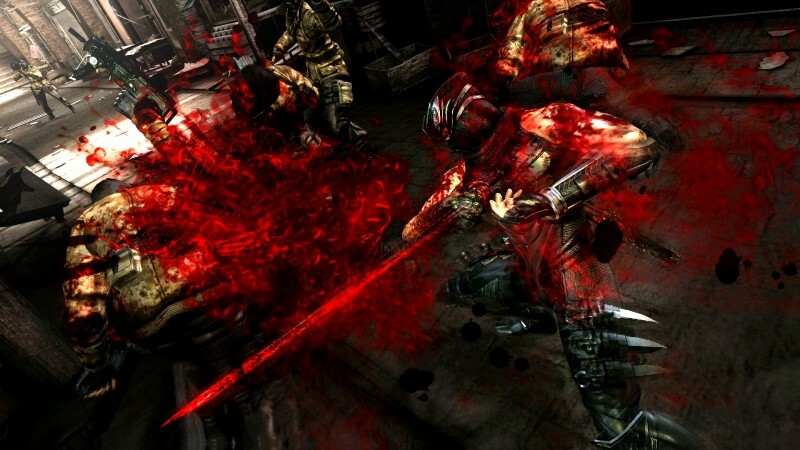 Ninja Gaiden 3 is not a complete train wreck, but its multitude of problems make it the weakest entry in the series.